Transforming Transport unveils its latest Big Data pilot results and technologies at ICT 2018 | Intrasoft International S.A. Considered one of the most important events in Europe to advance technology in the EU, ICT 2018 proudly showcased the latest in high-tech transportation software and innovation among its wide array of fields and topics. TransformingTransport (TT) was excited to participate in the event, which took place in Vienna from 4-6 December, highlighting the latest results of its ambitious pilot cases which are expected to radically transform transport operation through Big Data use. TT is the Horizon 2020 Big Data Value Lighthouse project that represents a strong consortium of 48 organisations from 9 countries and aims to show concrete, measurable and verifiable evidence of data value that can be achieved in mobility and logistics by leveraging big data. The RID department of the INTRASOFT International, as the TT Impact Coordinator, is responsible for coordinating dissemination and promotion activities of the whole project, bringing in its knowledge and experience of previous such activities on the EU level. The RID department played an important role in organising the TT sound participation at the ICT 2018. 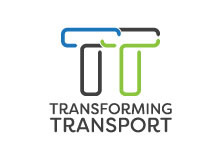 More information about TT and its most recent results can be obtained by visiting https://transformingtransport.eu/.